Raised in Sacramento, CA, Ms Mani grew up in a family that saw growth, both personal and professional, in education. Learning came not only from teachers and professionals, but also from colleagues and peers. It was that strong foundation that led Ms Mani to earn a Bachelors in Environmental Economics from UC Berkeley and later an MBA from Drexel University. As of Spring 2018, Ms Mani completed 12 introductory credits of Early Childhood Education Courses. Ms Mani’s career began in the environmental sciences. 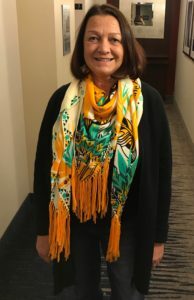 She spent 9 years working for the State of California pursing the state’s energy and air quality goals, and later in the private sector ensuring entities knew how to meet and manage their air compliance requirements. While continuing her work for the environment, Ms Mani met her husband and soon the two welcomed a baby into their family. 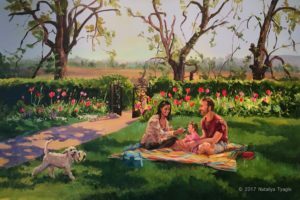 Wanting to instill a strong foundation of early education and learning in her own daughter, Ms Mani, being the well-prepared mother she is, began to research preschools within the Sacramento area. While doing so, Ms Mani found an extreme need for early education programs in East Sacramento that balanced learning the ABCs with learning how to be strong and kind individuals. She wanted to find a preschool that would not only fulfill the academic needs of her daughter, but also be a place where her daughter could learn how to be emotionally confident and self-sufficient through play. Soon, Ms Mani began a two-year long passion project to create and develop Creative Spaces Preschool. A space where children are treated as unique human beings, where children feel secure, autonomous, and competent. And, of course, a space that is committed to being as safe, non-toxic, and environmentally responsible as possible. Please visit Creative Spaces to learn more! Ms. Lizzy has worked in the field of Early Childhood Education for almost 10 years. 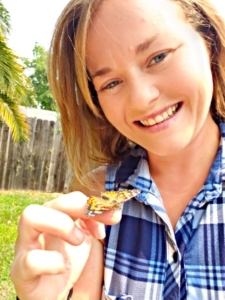 She has her Bachelor of Arts Degree in Child Development from CSU Sacramento as well as her Site Supervisor permit through the Commission on Teacher Credentialing. Ms. Lizzy comes from a large family. She is the second oldest of 11 children. Growing up, it was her responsibility to help raise and care for her young siblings. From this experience, it has drawn her towards a career working with young children. She believes in creating a fun, safe, and nurturing environment for children and providing the support they need in their exploration, discoveries, and creations through hands-on experiences. Working in the field of Early Childhood Education has taught her patience, flexibility, and openness to new experiences. During her free time, Ms. Lizzy enjoys reading, experiment with cooking, and traveling. She moved to Sacramento 9 years ago and was only planning to stay for a couple of years but fell in love w/ the city and decided to make it her home. Some of her favorite children’s authors are Laura Numeroff, Eric Carle, and Dr. Seuss. Ms. Lizzy is very excited to be part of Creative Learning Preschool! Miss Mayte graduated from Sacramento State University with a Bachelors Degree in Child Development. During her first year in college, she was undecided on what she wanted to major in. That was until her baby brother was born. She would help care for her brother when she wasn’t in school and took on that role as a caretaker at the age of 18. She loved taking on this responsibility, and watching him grow and learn. From then on she wanted to learn more about child development because she found it fascinating. 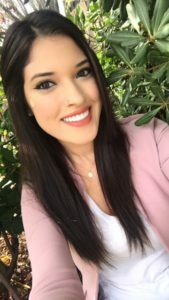 She began her teaching career substituting for Dixon Unified School District working as a teachers aide, translator and working for an after school program called ASPIRE at different elementary schools located in Dixon. She also interned at Sacramento State’s Children’s Center where she worked with infants and toddlers. Right before graduation she landed a teaching position for preschool age students and has been working specifically with preschoolers ever since. She enjoys being a part of the incredible development preschoolers experience during the ages of 2 through 5. Also, she loves the creative stories that they tell. Miss Mayte has her Site Supervisor permit from the Commission on Teacher Credentialing. Coming from a Hispanic background, Miss Mayte speaks both English and Spanish fluently. She is the second oldest of her family and has three brothers and sisters. Miss. Mayte looks forward to getting to work with your children and strives to maintain strong communication with your families. She is excited to start this new journey working at Creative Spaces Preschool! In 2013, Ms. Mai graduated with a Bachelor’s Degree in Child Development from California State University of Fresno. Originally from Fresno, Ms Mai moved to Sacramento three years ago in search of new teaching opportunities. She comes from a big family, where a couple of her siblings and quite a few relatives are teachers or in Education as well. Being the youngest of a big family, she grew up taking care of her nieces and nephews as well as assisting her oldest sister in her 3rd grade classroom. She has been working with children professionally for over six plus years and has been around them her entire life. Ms. Mai’s ethnicity is Hmong, but enjoys learning about different cultures wherever she goes. Growing up in a diverse community, Ms Mai has the ability and knowledge to work well with children of different backgrounds. She has always had a soft spot for children. For her to be able to have the opportunities to help them grow physically, mentally and socially – definitely means a lot to her. 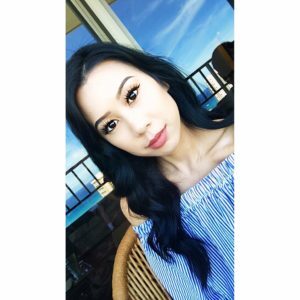 In her spare time, Ms. Mai loves scrapbooking, reading books, and going to the beach. She also enjoys her time at Disneyland to which she tries to go every other year. 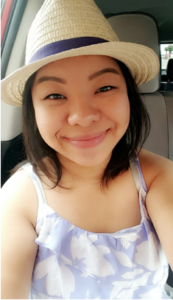 Ms. Mai is definitely a kid at heart and is excited to be joining the Creative Spaces Preschool family! 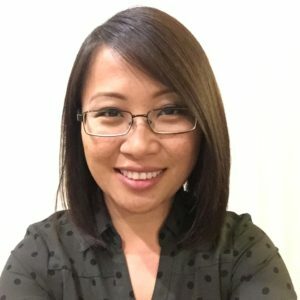 Ms Camellia graduated from California State University of Sacramento in 2015 with a Bachelor’s degree in Child Development. Initially, she had no idea which path she wanted to take in terms of majors. She switched through a couple of different majors before finally realizing that working with children is something she enjoyed doing. Being the eldest of cousins in her family on her mom’s side, she had been taking care of her younger cousins throughout her childhood years. One of the favorite imagination or pretend games she liked to play with her cousins was being “teacher” and helping others learn and become excited to learn. Immediately after graduation, she was offered a teaching position working with toddlers and has been working with toddlers ever since. Ms Camellia loves seeing how toddlers learn, grow, and interact with others and how quickly they are able to absorb the information they just learned. She looks forward to providing support and helping children become confident in themselves, creating social relationships, learning through exploration, and making sure that everyone is safe. Ms Camellia is excited to be a part of the Creative Spaces family! Tiffany got her bachelor’s degree in Liberal Studies (K-6 education) from California State University, Sacramento. She has known she wanted to be a teacher since she was about ten years old. The development of the young mind fascinates her. She was on her way to becoming an elementary teacher when she had a little boy of her own. She went to work for a preschool shortly after and there she realized that this age group was her true calling. Tiffany believes each child is unique and learns differently, but they all have a genuine curiosity to explore and discover new things. She wants to create an environment where she can encourage their curiosity with hands-on, interactive lessons. She really enjoys science and believes the messiest experiments create an amazing learning environment. During Tiffany’s free time she loves to read and paint. She is new to painting but has found she is pretty good at it. Family time is also very important so anytime she has the chance, she heads with her family to the mountains to hike and get back to basics, where the only sounds heard are the noises in nature. To appreciate the beautiful world around her. Michelle Peacock, our new Preschool Volunteer, truly believes in the success of Early Education. After 30 years teaching Art and Special Education, Michelle retired this past school year. Michelle learns from the children daily since Creative Spaces Learning offers children hands on exploration, new experiences, and appropriate social skills both in a group setting and individually. Michelle is a true advocate of the learning philosophies at Creative Spaces. All Creative Spaces teachers meet or exceed California’s childcare state licensing requirements. The preschool teachers have completed required coursework in early childhood education. All of the staff have experience working with young children in a supervised program. In addition, our staff members truly love and understand children, child development, and our learning through exploration-based philosophy. 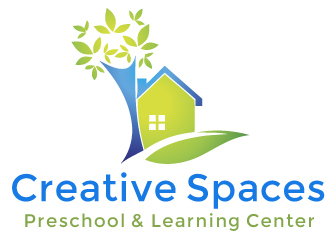 At Creative Spaces Preschool and Learning Center, children are not taught by a teacher. Instead, the philosophy is that teachers consistently facilitate the child’s learning experience. Teachers at Creative Spaces help children feel secure, appreciated, and interesting. Miss Mani is dedicating her work to ensuring every child at Creative Spaces feels they have earned the trust necessary to initiate their own path for learning through exploration.